South Burnaby is a general name for a neighbourhood in the City of Burnaby that includes a number of smaller ones. It stretches from Boundary Road in the west to Edmonds St in the east and bounded by Canada way and Highway #1 to the north and the Fraser River to the south. South Burnaby is home to many industrial and commercial firms. British Columbia's largest (and Canada's second largest) commercial mall, the Metropolis at Metrotown is located in South Burnaby. 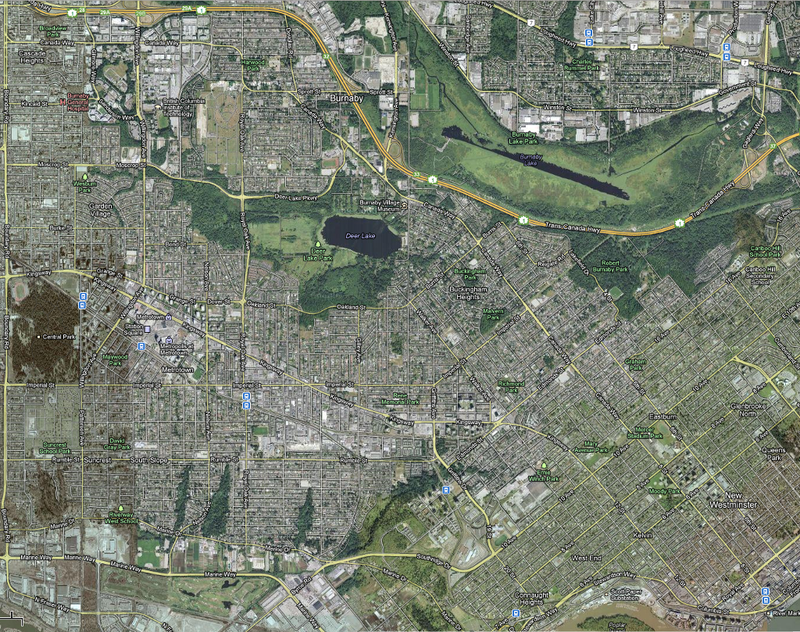 Still, South Burnaby's ratio of park land to residents is one of the highest in North America, and it maintains some agricultural land, particularly along the Fraser foreshore flats in the Big Bend neighbourhood along its southern perimeter.